books followed, including The Missing Piece (1976), about a circle that goes in search of a missing piece, and its sequel, The Missing Piece Meets the Big O (1981). 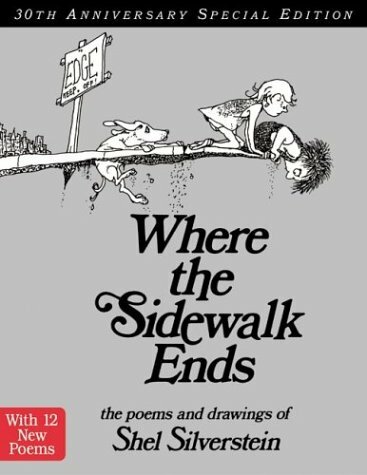 However, two collections of poetry are probably his best-loved work: Where the Sidewalk Ends: The Poems and Drawings of Shel Silverstein (1974), and A Light in the Attic (1981). All of Silverstein's poetry for children employs the language play common to Lewis Carroll and Edward Lear. Silverstein is probably the best of the contemporary nonsense poets for children.